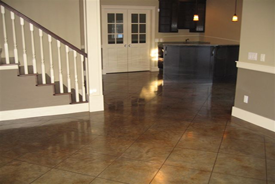 Hardscapes Inc. installs architectural concrete finishes specializing in decorative concrete overlays, engraved and stained concrete floors, garage floor coatings, and industrial/commercial floor coatings. We offer flooring solutions for high-end custom home builders and general contractors, residential homeowners, retail/commercial flooring, restaurants, and warehouse/industrial flooring. To view a sampling of our work visit our Portfolio page to browse through our galleries. 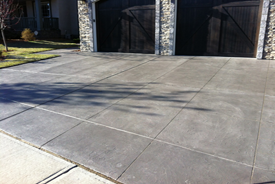 Decorative concrete overlays/resurfacing for driveways, walkways, patios & more. 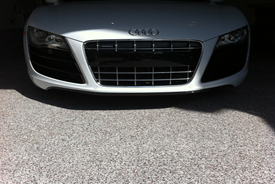 Long-lasting, easy maintenance interior and exterior surfaces. to freshen up your flooring. We'll help your transform your garage with the perfect coating for optimum wear & tear, & that will improve safety and be exceptionally easy to clean and maintain. 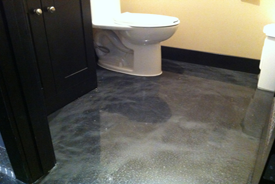 We can create unique custom floors by incorporating logos, decorative graphics & branding colours. Perfect for retail, hospitals, lobbies, schools, restaurants & showrooms. 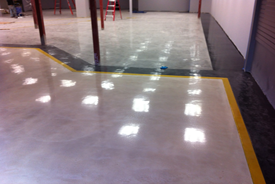 Reflective pigments produce colourful concrete floors with dimension & depth. Our special colours match existing designs or preferred colours. 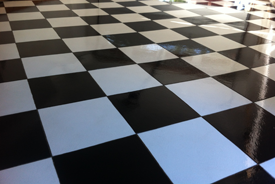 Great for basements, garages, commercial, residential & industrial flooring.